BGM-48030 Begemot decals 1/48 Sukhoi Su-2 Soviet WW2 Light Bomber Family - 48 variants of various Su-2s of Soviet Air Force. 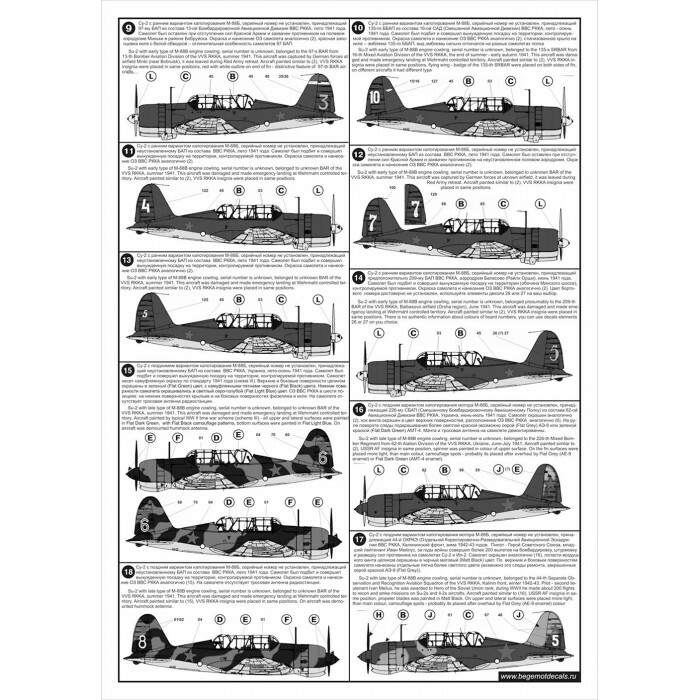 Two decals sheets, three pages of painting and marking schemes. 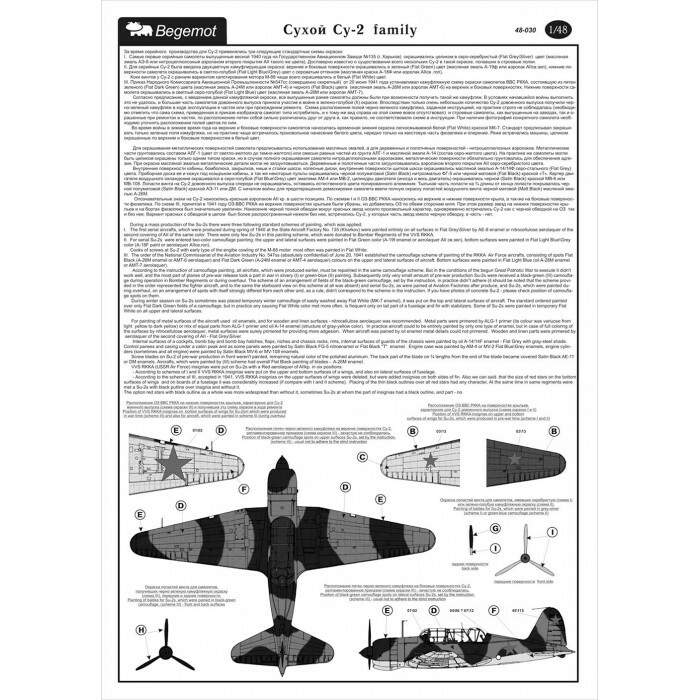 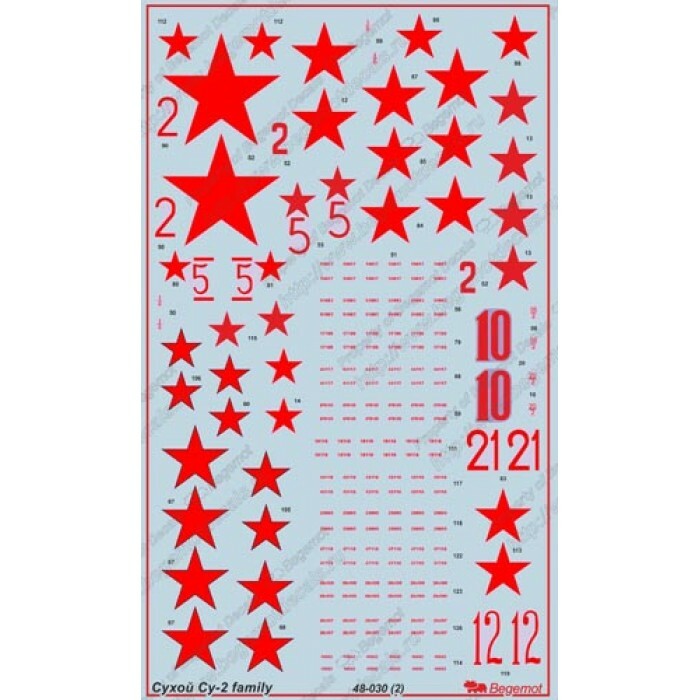 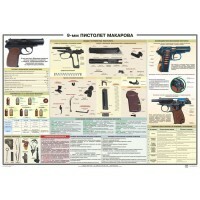 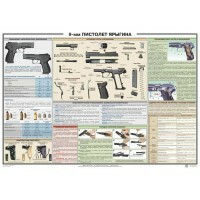 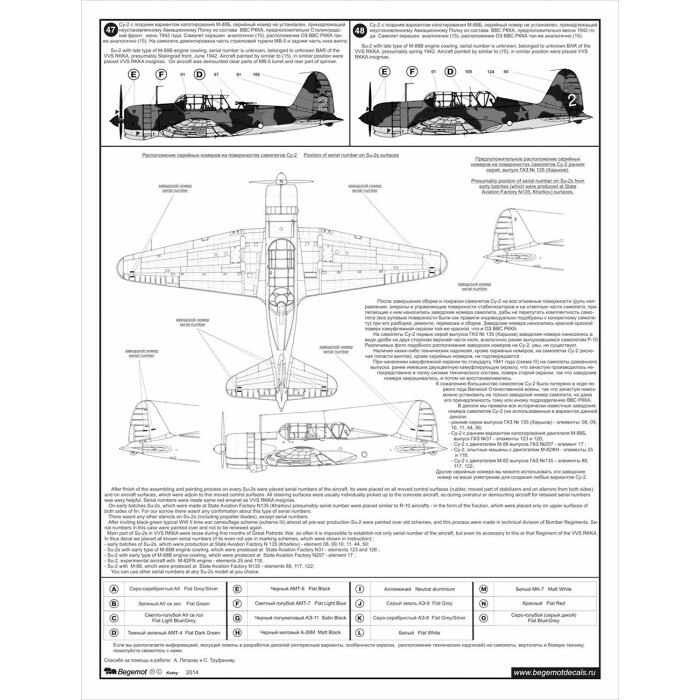 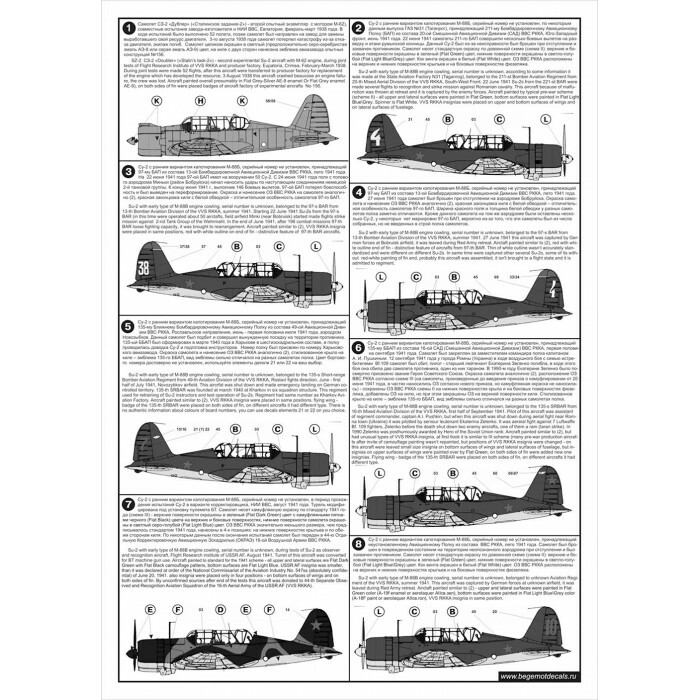 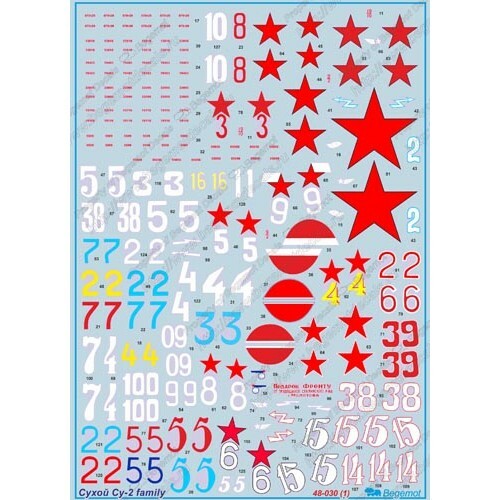 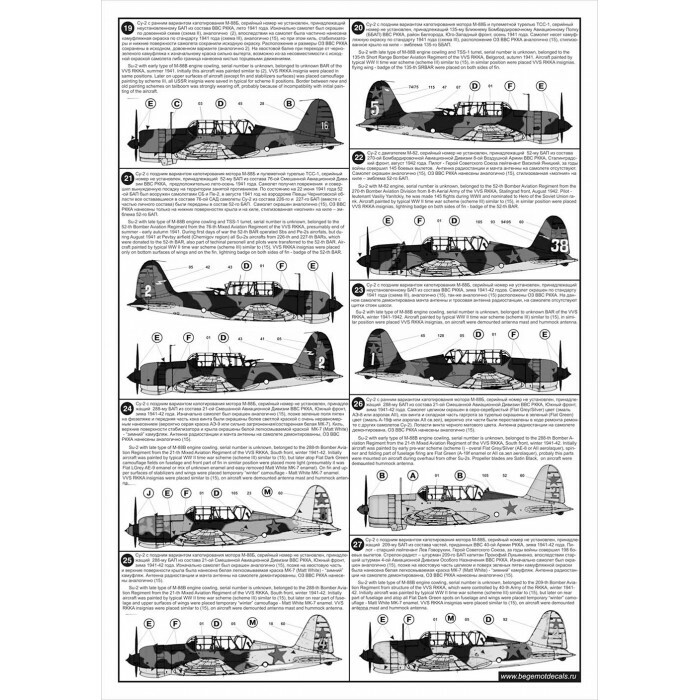 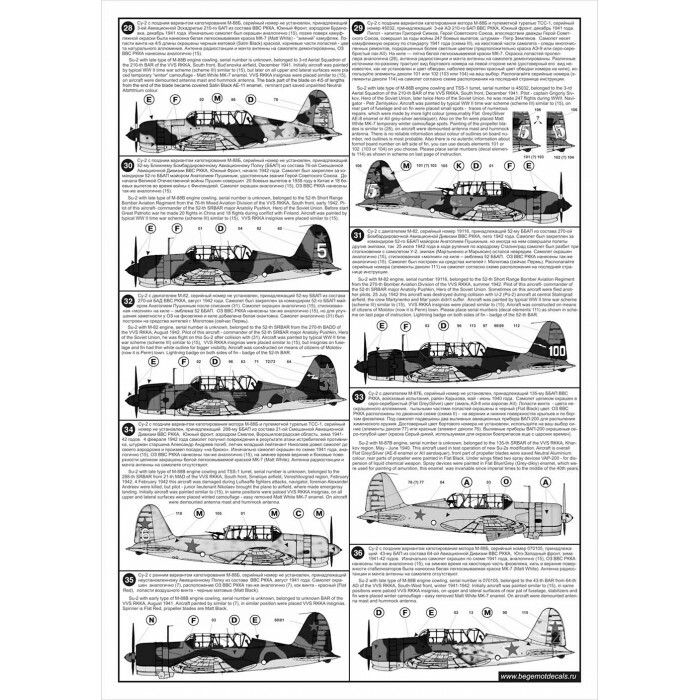 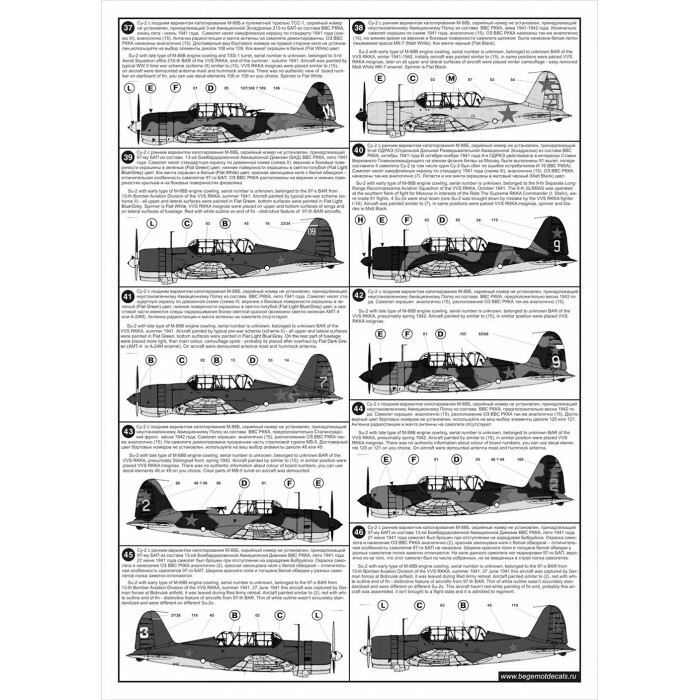 BGM-72051 Begemot decals 1/72 Yakovlev Yak-7 Soviet WW2 Fighters Family - 80 variants of Yak-7, Yak-..